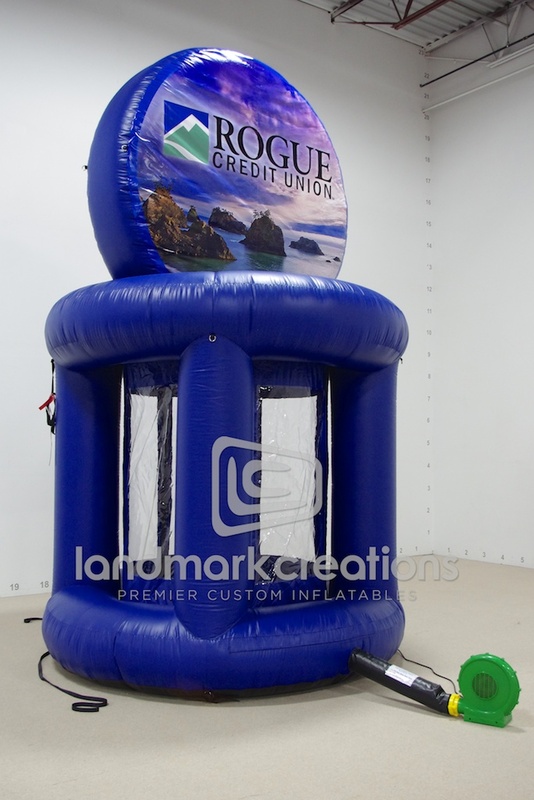 Rogue Federal Credit Union of Oregon inflates this custom money machine at a festivals, fairs and community events to gain exposure. 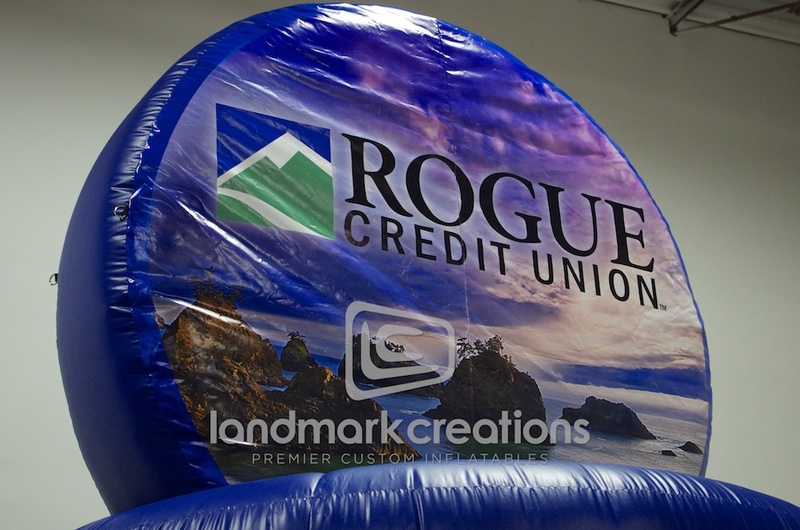 Eager participants from the community have 30 seconds to catch all the money and coupons they possibly can! Pack DIMs: 19" x 19" x 19"